the Furnisses plan family meals ahead of time in order to make just one weekly shopping trip. 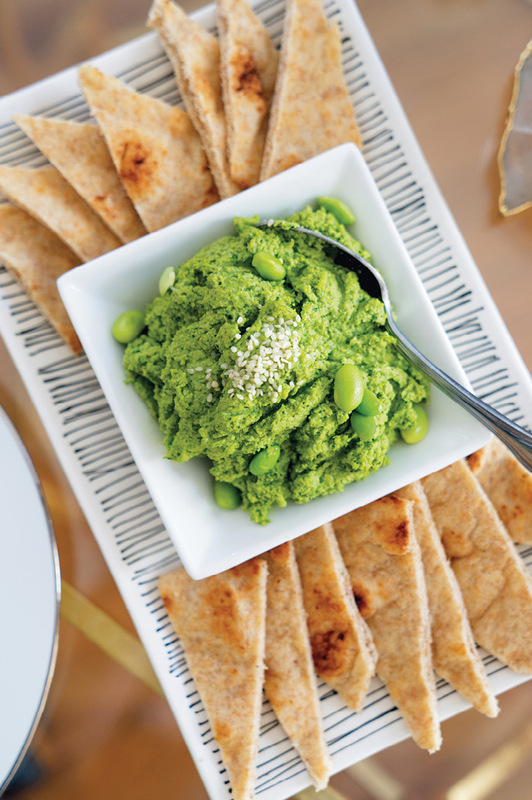 edamame hummus makes a tasty dip for veggie sticks and pita wedges. As proprietors of gourmet market Caviar & Bananas, Margaret and Kris Furniss know how to tickle the taste buds of discerning palates. The smart culinarians play up artisan goods and from-scratch foodstuffs at four grab-and-go cafés across South Carolina and will open a Nashville storefront come June. But two of their toughest customers reside just down the hall at their Hampton Park Terrace home. 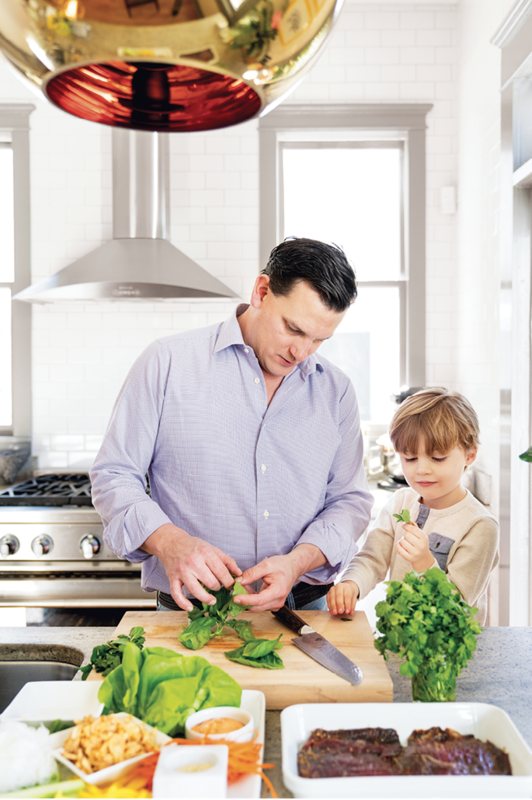 “Both of our kids are picky eaters, which is challenging to us as food people,” says Kris. 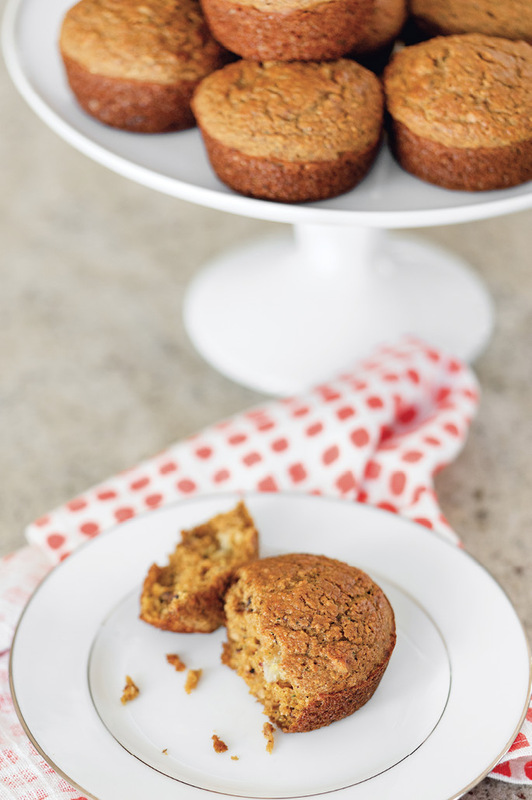 To further muddle mealtimes, Colin, five, and Gray, two, have food allergies, taking dairy off the table. 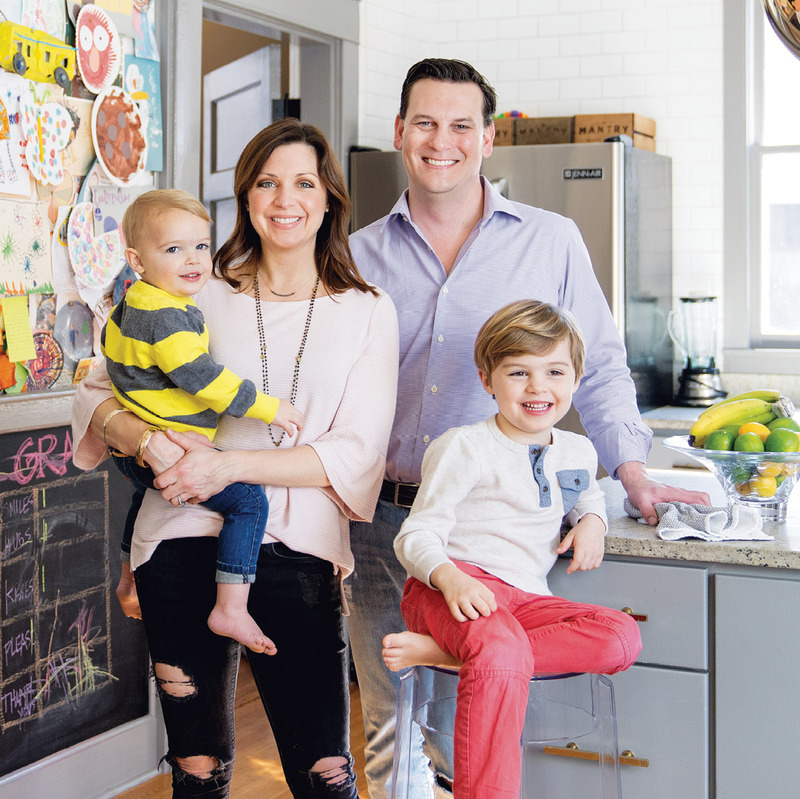 While Mom admits it’s easy to get hung up on what the boys will eat, these parents always urge their children to taste everything on their plates. 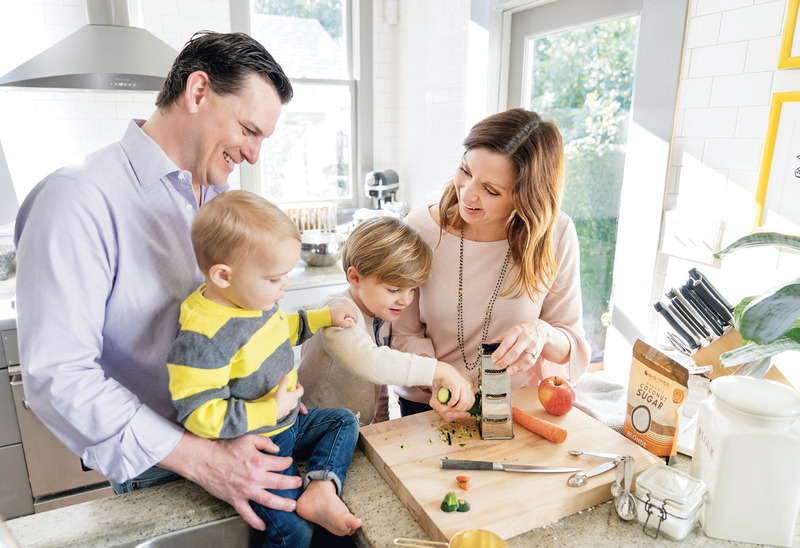 “We want to give our kids a foundation for exploring fresh, whole foods and nurturing their bodies,” explains Margaret, who began steering towards cleaner eating when she became a mother. Most dinners, Dad accepts the challenge, tapping the oldest as his sous chef. “If Colin helps me cook, he’s more inclined to try the final product,” he explains. 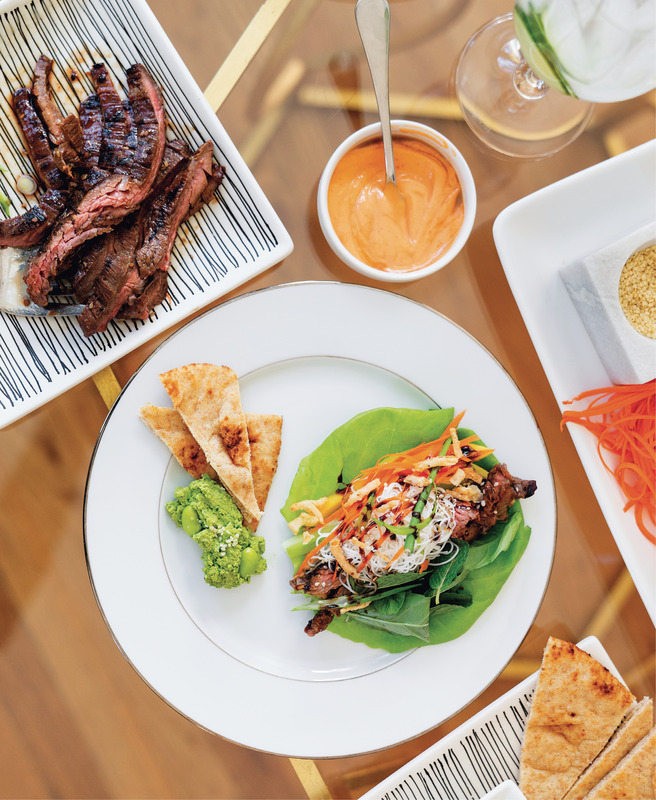 Bored with taco night but keen on the build-your-own concept, Kris developed an interactive recipe for Asian steak lettuce wraps, dishing up soy-ginger-marinated beef alongside crisp butter leaves, cellophane noodles, scallion and carrot slivers, sweet mango, and crunchy onions. The small fries create their own plates, gobbling the noodles like spaghetti with slices of steak and mango. Colin and Gray also appreciate spreads and sauces, so Kris experiments with dips that fit into their diets. Edamame hummus, an old favorite from the first chef at Caviar & Bananas, transforms cucumber, carrot, and celery sticks into an appealing snack. Deliciously Dairy-free: “We make chia pudding for Gray, who loves yogurt but can’t have dairy. And for dessert, which Kris calls ‘closure,’ we like cashew milk ice cream,” says Margaret.